Free camera movement and jumping confirmed. 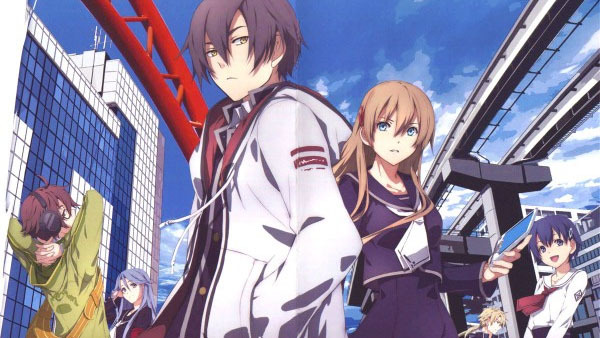 An interview with Nihon Falcom president Toshihiro Kondo in this week’s issue of Famitsu magazine reveal new details about the recently announced Tokyo Xanadu. For starters, the roles of Kou and Asuka, the two characters that were shown to be front and center of this recent magazine scan, have been clarified as main protagonist and heroine, respectively. Though their roles might be defined in such archetypal terms up front, Kondo contends that in practice, their dynamics will be much more different and unique compared to what’s come before them. The smartphone-esque devices that they carry on them in the picture are said to be of utmost importance as well. Other characters will naturally be properly showcased in later announcements. In terms of gameplay, Kondo reiterates in the interview that Tokyo Xanadu is an action RPG and that it’ll feature a free moving camera and jumping as part of its gameplay. Tonally, the developer wants to make a game that has a different feel to it than what’s previously been on display in its Kiseki and Ys games, the two franchises it’s predominantly focused on the last several years. This means that the team behind it is heading into uncharted territory for them. The fact that it has the word “Xanadu” in the title, however, is a very deliberate choice and there are scenes that should resonate with those who get why that is, Kondo said. Progress on the development of both Tokyo Xanadu and the latest Ys game for PlayStation 4 and PS Vita are said to be roughly equal, but the former’s release is being prioritized for the time being. The game is currently in a playable state and the team at this stage is focusing on raw content generation. As for the staff behind the game, Kondo confirms that people who have worked on the both Kiseki and Ys series are on board for Tokyo Xanadu, as the team makeup doesn’t inherently stay static between games in those franchises. Philosophically, though, Falcom is striving to make a game that surpasses what they’ve accomplished in those other two series. The target hardware remains unconfirmed at this time, but as the game is apparently known to be appearing in this week’s Dengeki PlayStation, too, that probably narrows the field at least somewhat.